"Gamasutra Explains" is a new format meant to help you understand the news that affects your profession as a game developer. Lately, you've likely heard a lot about the rise of the YouTuber. Gamasutra, of course, has spent a great deal of effort reporting on it so far. It all stems from the fact that audiences have been flocking to their output. Famously, Felix "PewDiePie" Kjellberg has the most popular user-run channel on YouTube -- and generated $4 million dollars in revenue last year. The movement has been building for some time, but the ubiquity of game streaming equipment and video services to host its output, audience interest in videos, and the financial viability of making a living from them has reached an inflection point. We are now smack in the middle of a trend that will only gather steam, as late-movers and aspirants enter the space, and developers and publishers scramble to take advantage of the phenomenon. This guide is designed to help you understand this complex topic. YouTubers were originally a response to the rise of YouTube as a platform and video games as a medium. Video games are now responding to YouTubers. "I now believe there's a direct correlation between how good your game is and how many unique YouTube videos it can yield," Gears of War creator Cliff Bleszinski recently said. "The YouTubers have taken over, folks!" The way games look on video is now fundamentally affecting how Bleszinski makes them -- and he isn't an upstart, but someone who's already found massive success making games. Bleszinski may be one of the biggest developers to change so radically and publicly, but he's far from the only veteran developer shifting how he makes games for the YouTube era. 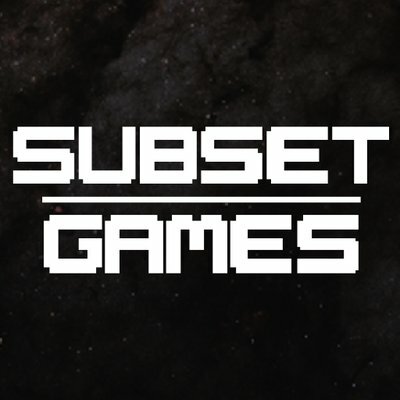 "We have already decided to change our genre and gameplay for the next game designed around getting attention in the new world we live in," veteran developer John Ardussi wrote in a comment to his recent blog post on YouTubers. Game developers aren't just thinking about whether their game is good to play, but also whether it is good for others to watch. This trend will only intensify as the relationship between YouTubers and game developers gets closer. 3BlackDot, that startup from popular YouTube personalities SeaNanners and Syndicate, has launched a game called Zombie Killer Squad that features the YouTubers as playable characters in the game -- and, in turn, they promote it to their fans. Game makers are going beyond the pre-roll ads, and incorporating popular YouTube personalities into their games, for promotional purposes. Trends don't occur in isolation, either; even developers who don't actively use YouTubers for promotion are affected. Plenty of games are released at alpha; still more get post-release patches for new content, bug fixes, and to address community concerns. In that universe, how YouTubers play can become a roadmap to fixing -- or altering -- your game. YouTubers play games, record their play sessions -- and themselves -- and then post the results to YouTube. Many also stream at Twitch.tv, or do both. The movement grew out of the basic Let's Play form, which began in the pre-video era with screenshots and text commentary on web sites. It's expanded to encompass more varied forms of content, but that's the gist of it. The number of YouTubers has recently begun to explode, and each has his or her own approach. Some carefully craft videos using a mixture of live action footage, motion graphics or animation, and gameplay footage; others practice and rehearse their play before recording; still others simply play games and record video, and then post whatever comes out. The content of the videos can be very loose or extremely tightly controlled; it can be heavily edited or just flow freely in realtime; it can be serious or comedic. A video might be a deep exploration of what makes a game tick, or just somebody screwing around while a game is running in the background. In general, however, it's recordings of people playing games and their reactions to them. We're starting to again hear the word "infotainment," which last had cultural currency in the 1990s when news shows like Inside Edition (which sought to entertain as much as inform) were ascendant. In this case, it refers to the fact that these videos are in themselves entertaining, yet don't have the same goal as traditional editorial content, like video reviews produced by core video game sites like IGN. There are lots of YouTubers -- and more every day. One of the most striking things about the phenomenon is how it's possible to suddenly hear of someone well after they've already picked up a million or more subscribers. The biggest name in the game is 24 year old Swede Felix Kjellberg, better known as PewDiePie, who has over 29 million subscribers as of this writing -- making his the most-subscribed channel on the site that's not an automatically generated category like "music." As you can see from the chart above, PewDiePie sets the standard -- by some distance. Other notable names include Adam "SeaNanners" Montoya, (4,657,000 subscribers), John "TotalBiscuit" Bain (1,726,000 subscribers), Jon "JonTron" Jafari (1,156,000 subscribers), Ryan "Northernlion" Letourneau (339,000 subscribers), and the Game Grumps (currently formed of Arin "Egoraptor" Hanson and Leigh Daniel "Danny Sexbang" Avidan, with 1,674,000 subscribers).